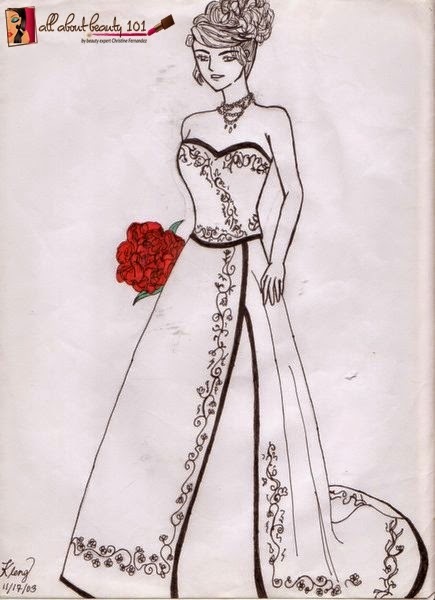 I drew this in the year 2003 and I am still single at that time. But this is how I envisioned my wedding dress will be some day. I like to have a white long wedding dress with black lining and sequins on edges.